If you enjoy your privacy, this home's for you! Tucked away on 1 1/2 acres, you won't see your neighbors unless you want to. 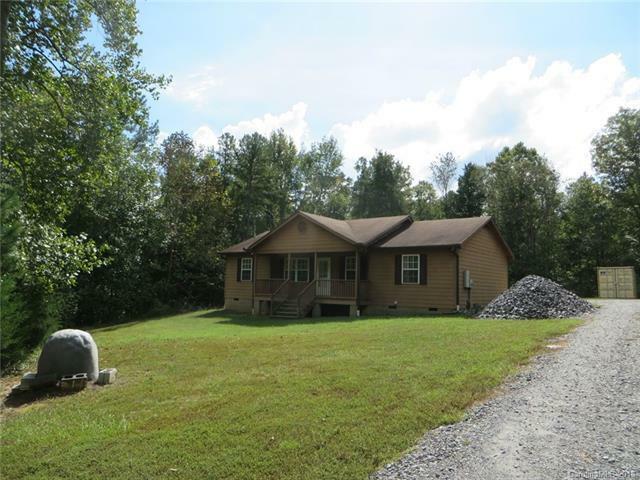 This RANCH style home is situated on a level, treed lot with long drive, set back from the road. Rocking chair front porch. Easy care flooring with wood laminate in the Living Room and bedrooms, luxury vinyl in the Kitchen and baths. Split floor plan has the Master on one side of the house, and the secondary bedrooms on the other. Eat-in Kitchen has good storage with refrigerator included. Also included is the washer/dryer plus a 20 foot storage container. Loads of parking, and outdoor space for all your hobbies. Minutes from I-77, short drive to Rock Hill.